← The Naturals: Wrap Up Post! About: It is London in 1716. 16 year old Peggy Fitzroy has been tossed into the street for refusing to marry the man chose for her by her uncle. Brave and resilient Peggy is soon recruited as a spy. Why I Recommend: Peggy is an intelligent and independent girl and the book is full of danger, mystery, adventure, a palace and fabulous fashions. About: In 1944 after a munitions explosion kills 320 mostly African-American naval men the 50 survivors are tried for mutiny after refusing to resume working in the extremely dangerous conditions that caused the explosion in the first place. A true story. Why I Recommend: This happened 70 years ago and was covered up by the navy. I think I like it because it demonstrates the lack of progress the U.S. has made concerning civil rights. About: Every other day 16 year old Kali D’Angelo is an average teen. But every day in between, without knowing why, Kali becomes a fearsome demon hunter. Why I Recommend: A strong, smart female protagonist; just your average teen girl who becomes a fierce killing machine every other day. This book reminds me of my teen years. 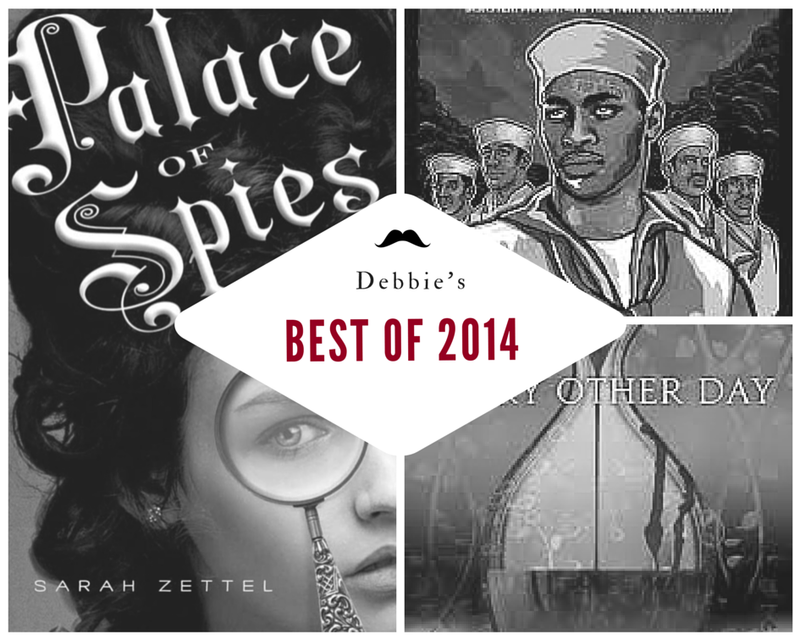 This entry was posted in adventure, Best of 2014, civil rights, female protagonist, historical fiction, nonfiction, young adult and tagged every other day, palace of spies. Bookmark the permalink.